F = evaluateReaction(structuralresults,RegionType,RegionID) evaluates reaction forces on the boundary specified by RegionType and RegionID. The function uses the global Cartesian coordinate system. For a dynamic structural model, evaluateReaction evaluates reaction forces for all time-steps. Create a cuboid geometry and include it in the model. Plot the geometry. Fix one end of the bar and apply pressure to the opposite end. Compute the reaction forces on the fixed end. 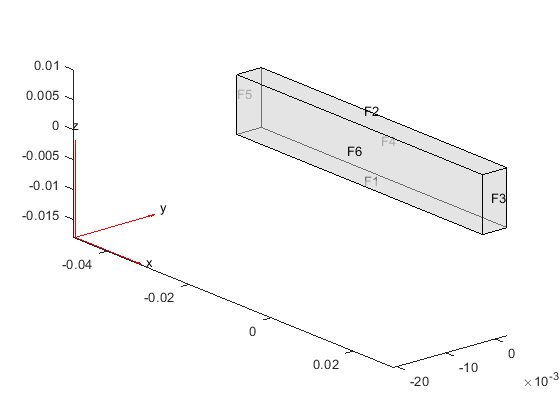 Evaluate the reaction forces at the fixed end of a beam subject to harmonic excitation. Reaction forces, returned as a structure array. 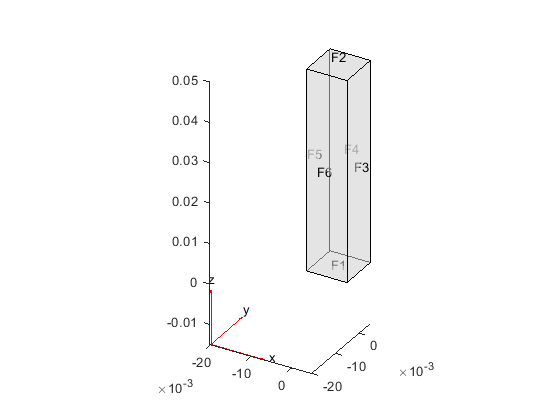 The array fields represent the integrated reaction forces and surface traction vector, which are computed by using the state of stress on the boundary and the outward normal.